fündekals are back with three new decal sheets, but there is no question which one caught my eye. Hank Zary was an American ace flying with the RCAF who ended his career as CO of 403 Squadron. 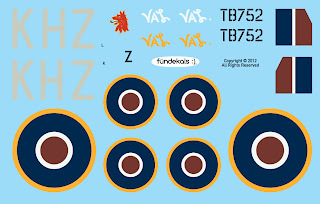 This new sheet has markings for Zary's Spitfire XVI TB752 in late 1945, but before the aircraft was tarted up post war. The sheet has roundels, fin flashes, serials, codes, nose art, and the aircraft name. (Interestingly two versions of the name are included, one for the closed cockpit door and one for the open cockpit door.) Everything is perfectly printed and the roundel colours are spot on. You are directed to www.fundekals.com to download an instruction sheet for decal placement and scheme information. 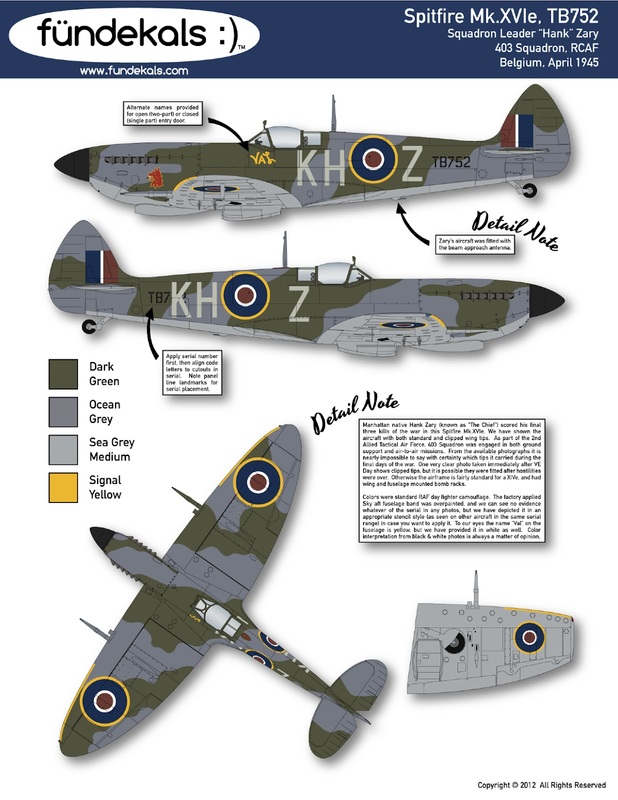 As I said in my previous review of one of their Spitfire sheets, I really like this idea of single subject affordable decal sheets and there is no question that the download instruction sheet is the wave of the future. They look awesome. I too am a fan of the fundekals method.